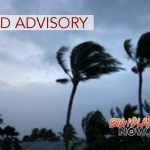 The National Weather Service maintains the High Surf Warning for North and East facing shores, the High Surf Advisory for the West facing shores, and the Wind Advisory for lower elevations of the Big Island on Monday, Feb. 11, 2019. Drive with caution in the Hāmakua District as Public Works and HELCO crews are working on the roadways to remove debris and to restore power. 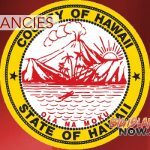 The Department of Water Supply requests that Hāmakua residents limit usage to health and safety needs during the power outage because they are not able to resupply the water tanks without power. Parks and Recreation will keep all beach parks and camping grounds closed as long as the surf remains a threat. If you experience property damage during this event, call Civil Defense at (808) 935-0031 to make a report.